I still remember my first phone, the Nokia 3310, back in 1996 where battery could last for days and days. Sure, there were no colors to ponder, no touchscreen to swipe on, or even fancy games to play, but it was all good back then. Nowadays, our fancy smartphone can barely last for a day if you are really going at it. And then, no matter how good a smartphone look, I can never recommend it to my parents because it’s just too complicated for them to learn (believe me, I’ve tried). The answer to these, lies in Microsoft’s new phone – the Nokia 215. I watched my mom trying to send a text message to her friend using my smartphone. It took her a good 10 minutes trying to type the letters correctly one by one (with lots of backspaces). I have to admit that you can never replace the good experience of typing on a keypad. It’s one of the reasons why my mom has a Blackberry phone. Rather than having to teach them to create an iCloud, Microsoft Live, or Google account and install an app, having pre-installed apps help a lot. With Facebook and Messenger come pre-installed, they can chat and keep up with their kids on Facebook. By now, most of us have grown accustomed to charging our phone before we go to bed. Yet, not everyone loves the idea. Having this awesome standby time brings you back to the good old days where slimmer and thinner phones mean nothing. It’s still a challenge to explain what MP3 is to my parents and how they can listen for music on their phones, but at least the Nokia 215 has that capability. And then, there’s the good old FM radio to listen to. They can also check on weather, search for cooking recipes, watch videos on YouTube, and read news on this phone. Definitely a step-up from whatever they are using at the moment. 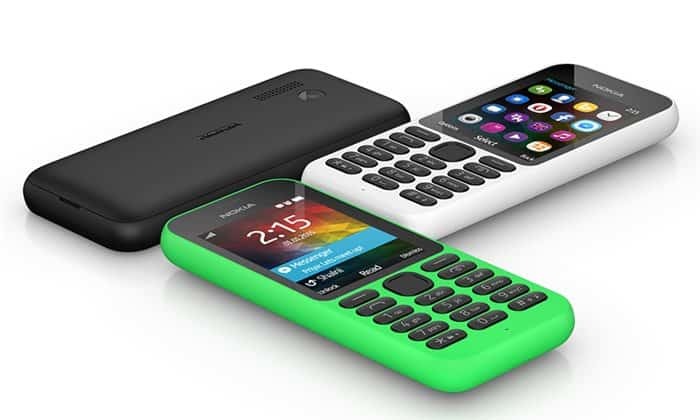 There’s more to Nokia 215 – such as the dual-SIM version, a built-in torchlight, and Bluetooth capability. Price wise? $29 RRP. Beat that. I’m buying this for my dad next year. Um, assuming he’s willing to get rid of his old Ericsson phone.